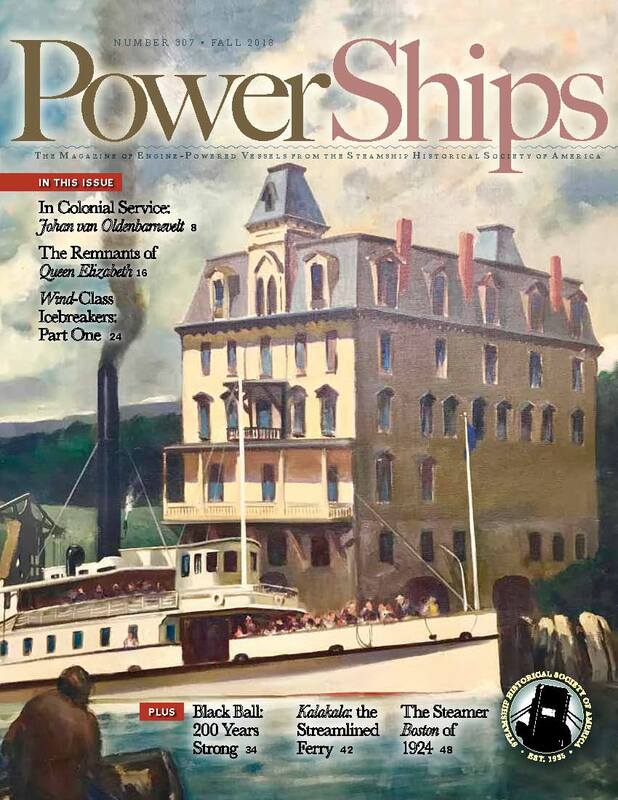 SSHSA publishes PowerShips, The Magazine of Engine-Powered Vessels. Launched in 1940 as The Steamboat Bill of Facts, this quarterly magazine has been published continuously for 75 years. PowerShips isn't just another maritime history magazine...it's the ship history magazine. Each issue is produced in full color and packed with exciting and informative features on maritime subjects that bring the past to life. This 88-page magazine includes regional columns from across the United States and overseas, special columns on cruise ships, yachts, tugboats, reviews of newly published maritime books and much more. No other magazine has the distinction or legacy and covers the dramatic course of engine-powered vessels like PowerShips. In addition to our official quarterly magazine, SSHSA publishes maritime books, media, and newsletters of high interest to the thousands of enthusiastic members throughout the world. We serve as the link connecting all maritime heritage resources in the USA to the world. PowerShips is published and distributed January 15th, April 15th, July 15th and October 15th.